Starck, J.-L. and Murtagh, F. Astronomical Image and Data Analysis: , Springer, 2002. (ISBN 3-540-42885-2.). Order now from Amazon.com. Available for free at the Springer editor web page. Description: The use of multiscale analysis methods continues to grow rapidly, as a check of the published literature shows. Such methods offer a lot compared to traditional methods. 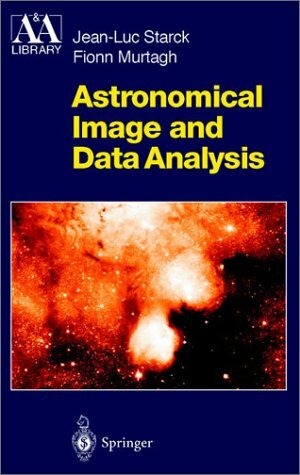 The work of the authors of this book is motivated by a vast range of applications in image, signal and data processing in modern astronomy. The methods are innovative, proven in practice and of wide relevance. The work is intended for professional astronomers, dedicated amateurs and students in observational astronomy and astrophysics.